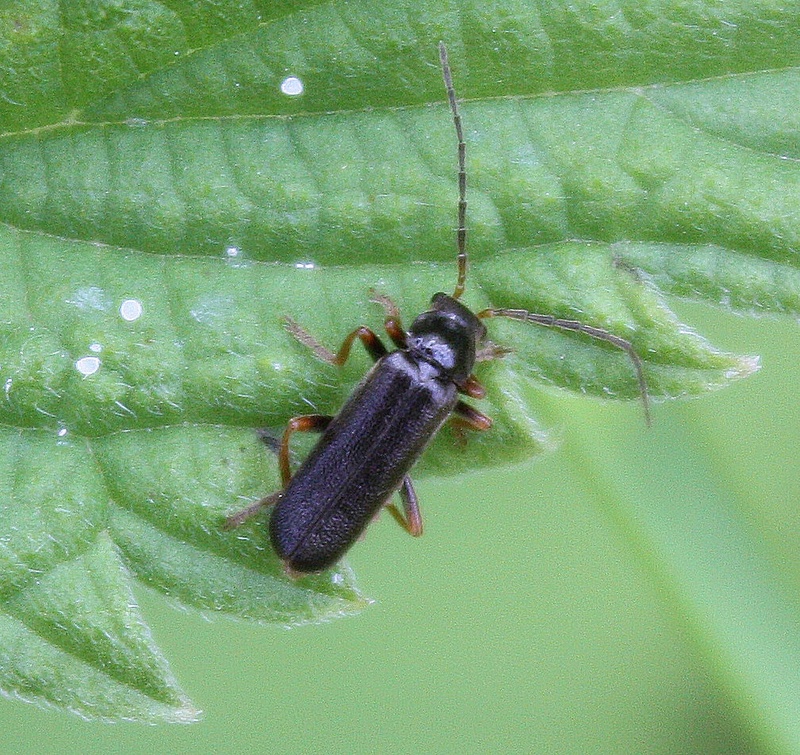 The black elytra (wing covers) are shiny and have a layer of very fine hairs. 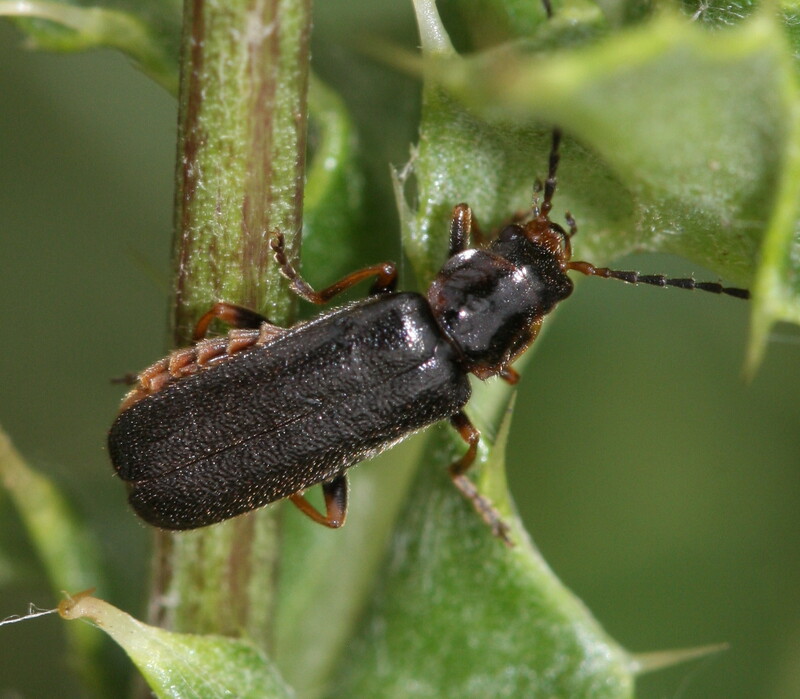 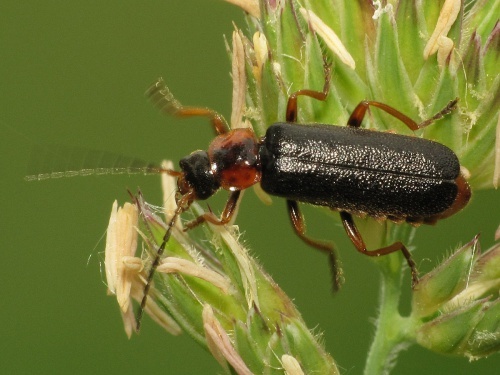 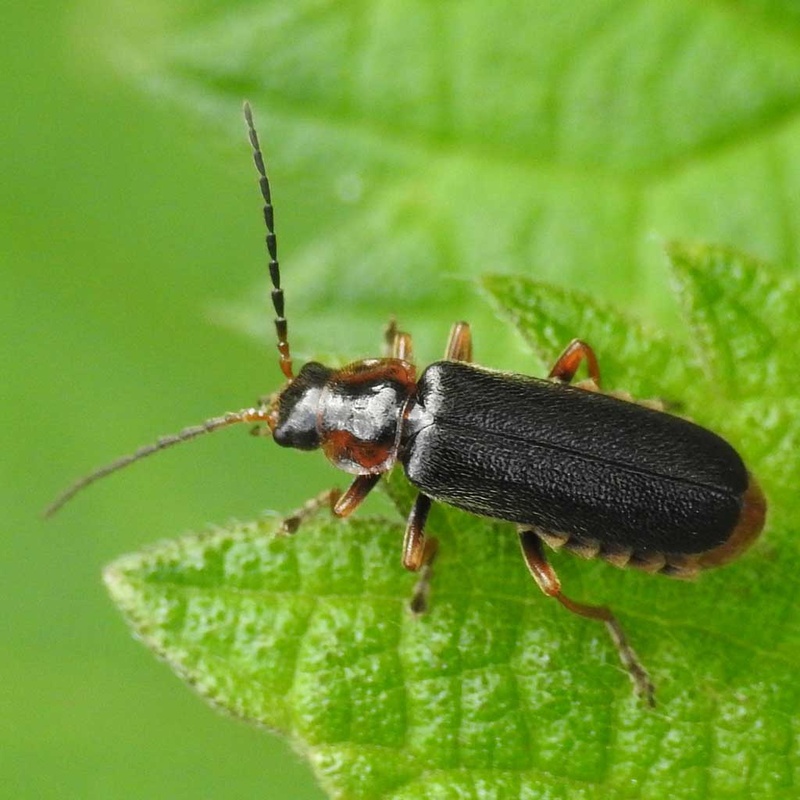 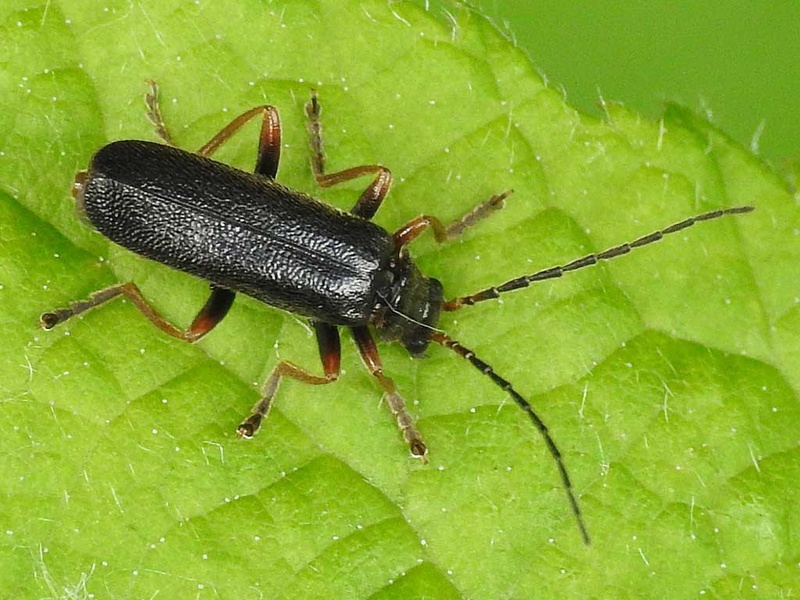 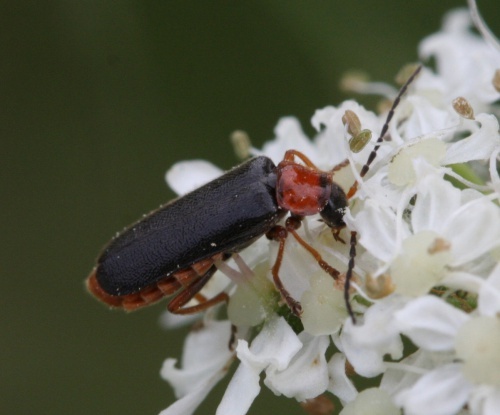 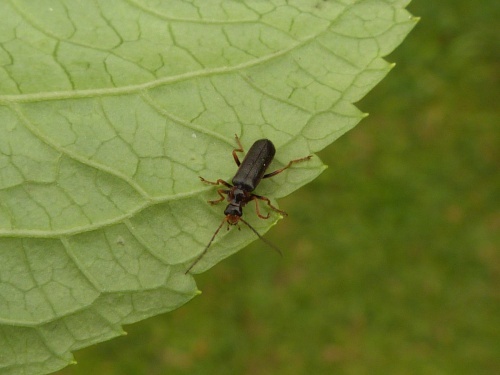 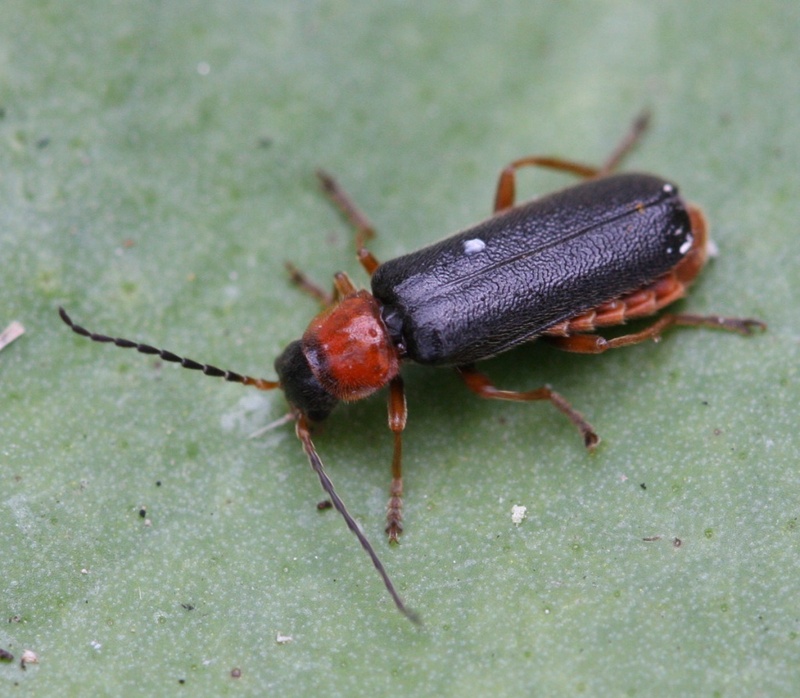 The pronotum can be all black or may have varying amounts of red. 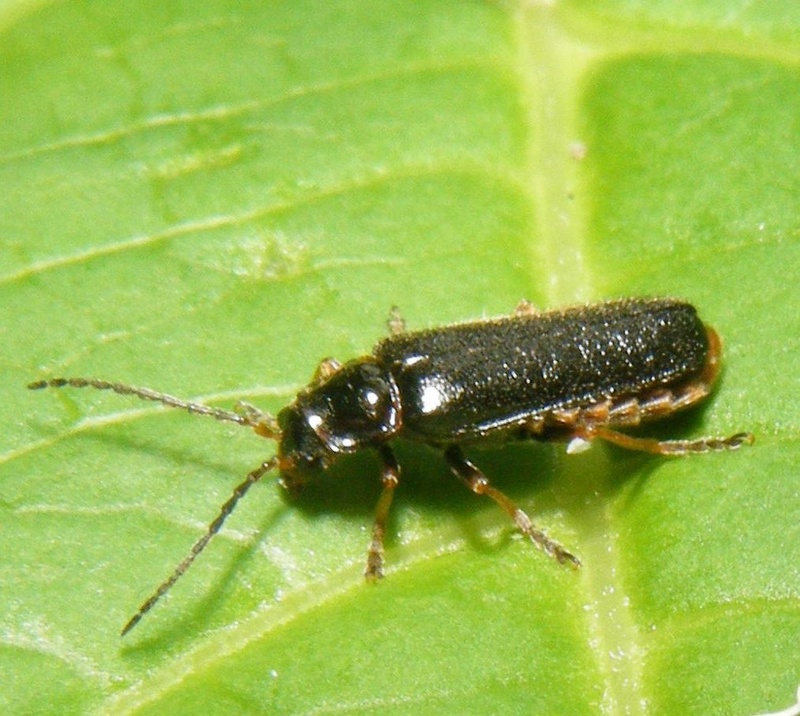 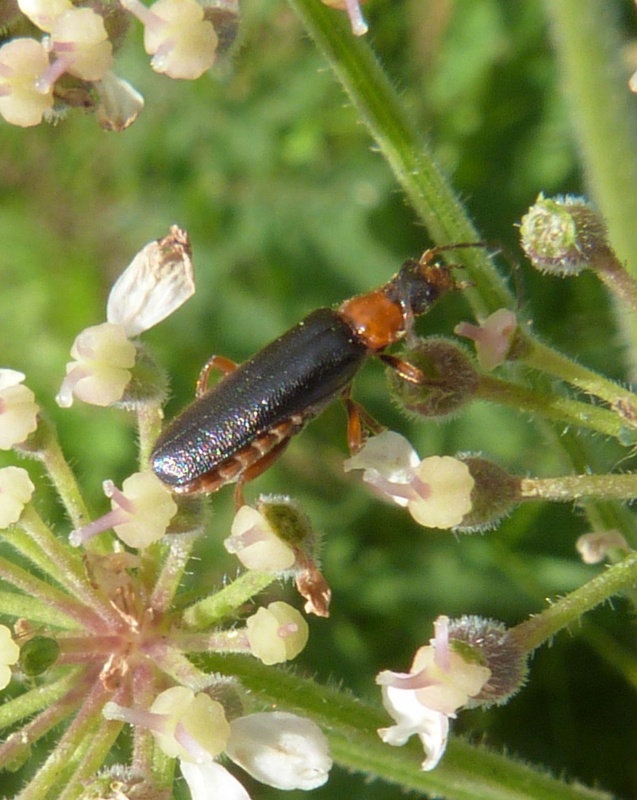 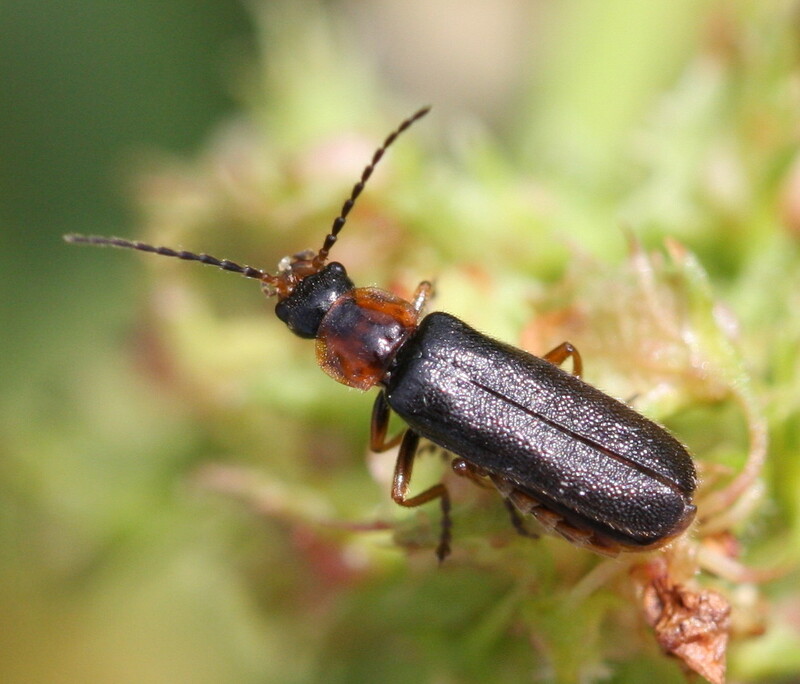 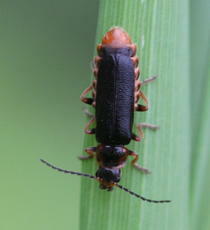 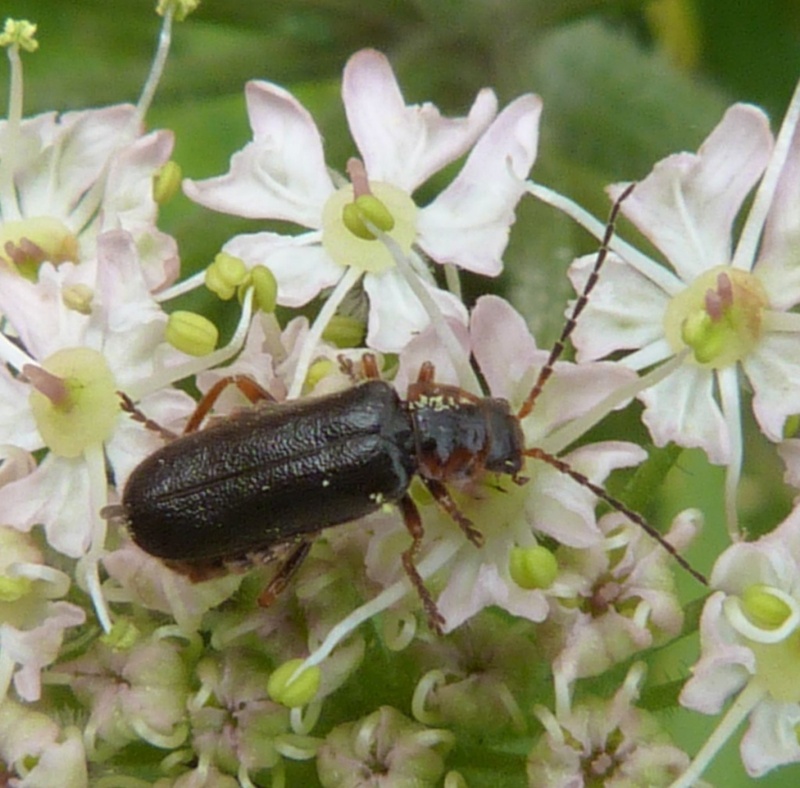 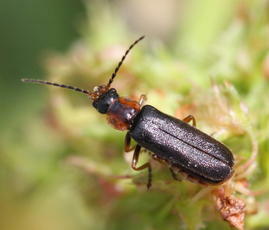 The scutellum is black which distinguishes the red pronotum variety from the simalar C. thoracica which has a red scutellum. 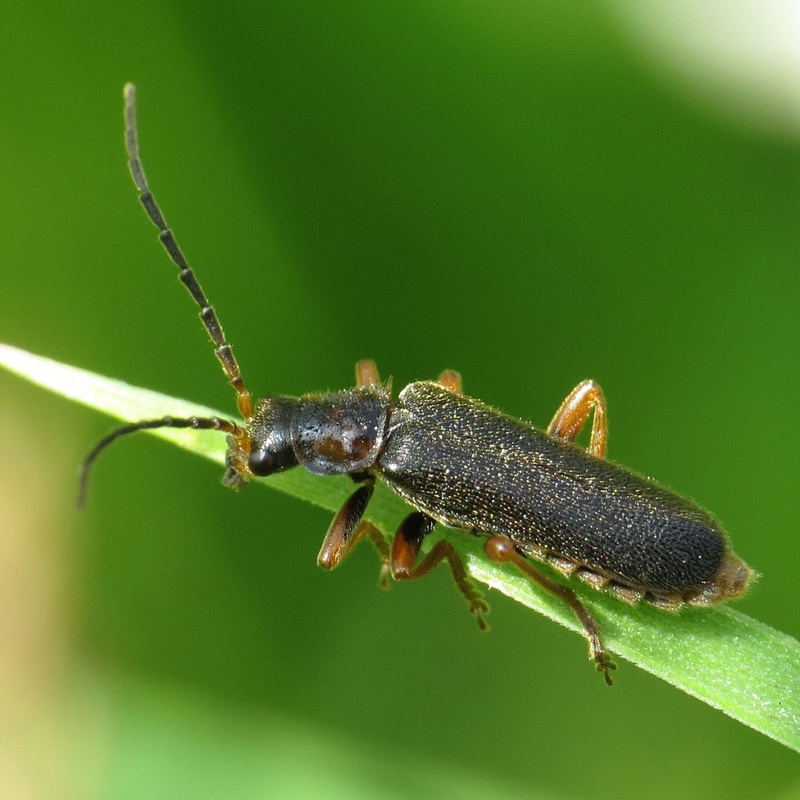 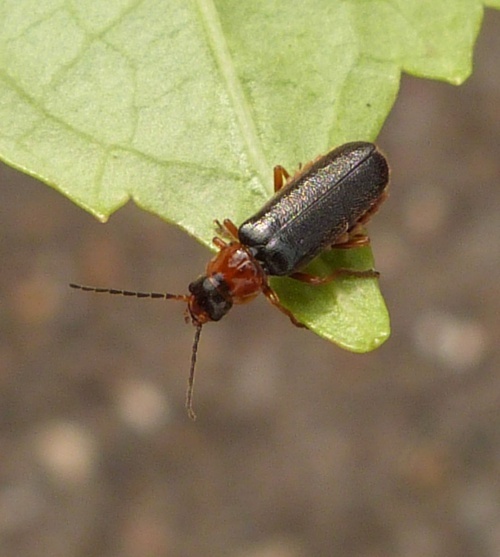 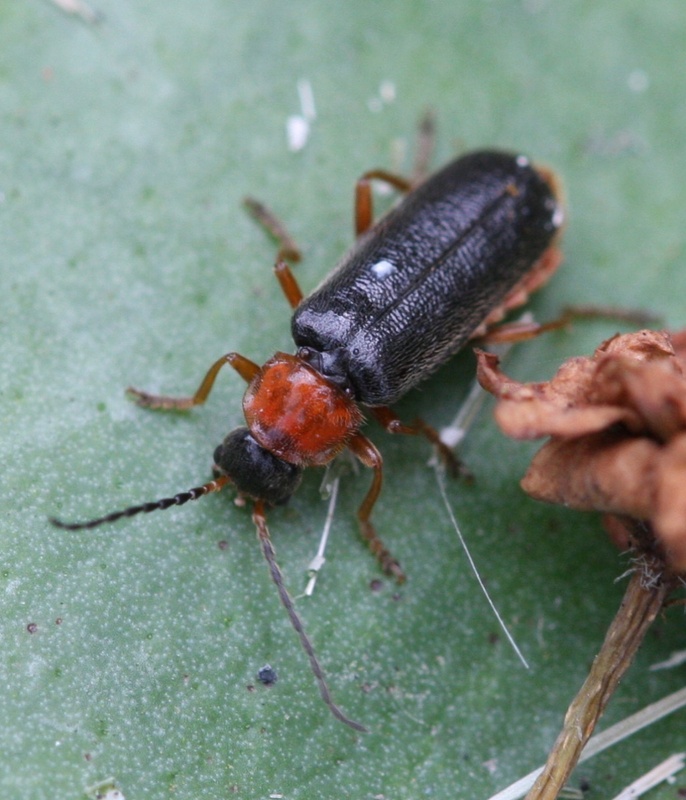 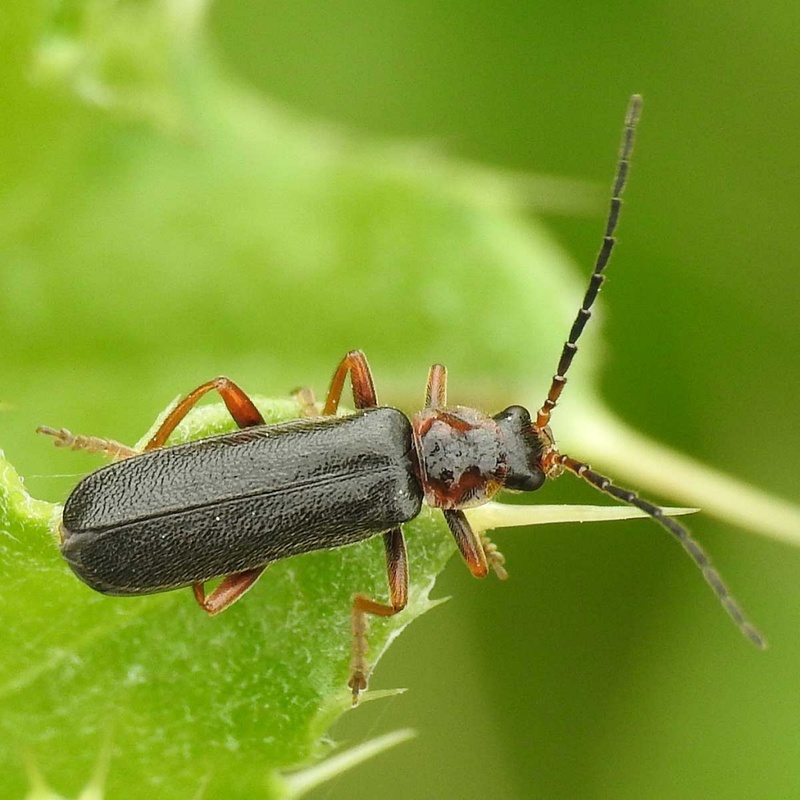 If recording the variety with a red pronotum, the colour of the scutellum must be visible in a photograph or recorded in the comments field. 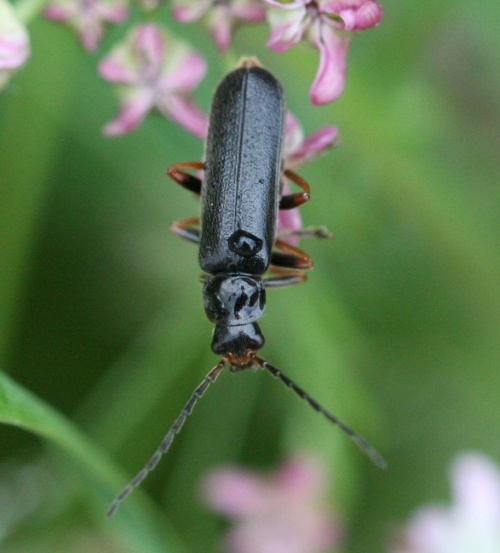 Hay meadows, and damper grassland especially near to marsh and water. Fairly frequent in Leicestershire and Rutland. There were a total of 73 VC55 records for this species up to March 2015.